Connected cars are specially equipped with internet connectivity; usually, it is provided wireless to the cars. This helps the car to connect with other cars and devices that are inside and outside by sharing the internet to pass the data. The cars are also provided with some additional facilities so that it can access the internet in order to provide much more benefits to the driver and the passengers. 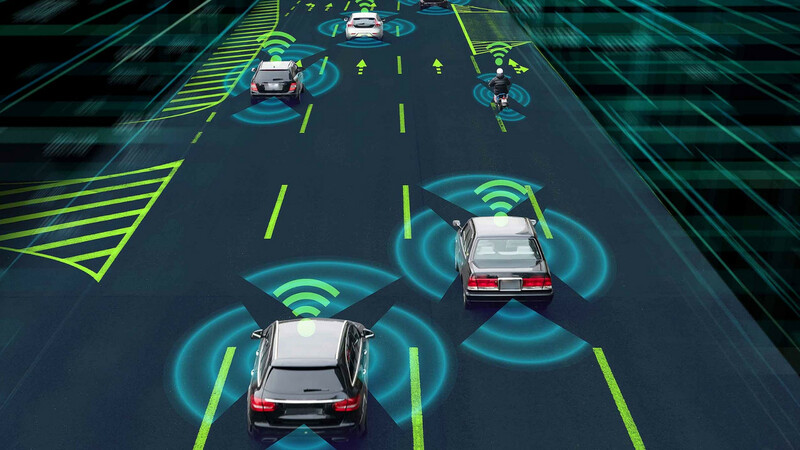 These cars are designed with the latest technology in the field called the Internet of Things; the objective of this technology is to provide better connectivity to the individual devices. The hardware that is used in the system is called the built-in or brought-in connection systems. The built-in telematics boxes the most common proprietary connections for internet access through a GSM module and these are integrated with the IT system of the car. Even though, most of the connected cars in the United States use AT&T as it is one of the largest GSM operators in the country. Many of the brought-in devices are plugged in the On-Board diagnostics port for the electrification and the access for the data transferring can also be divided into two types; the hardware depends on the customers’ Smartphone for the internet connectivity or necessary the hardware creates a proprietary connection for the internet through the GSM module. All the forms of hardware will be used for the different cases of the drivers, and each of the hardware is used for different purposes. Though connected cars are still not known to many people, it has witnessed a lot of changes in the functions and also in the features that it offers to the uses. The features of the connected cars are the beginning for the self-driving cars. The speed of the internet used for the cars can reach anywhere between 1 MB to several GB, the usage of the internet solely depends on the situation and the user requirements. According to the recent researches, there were 21% of car manufacturers are willing to switch to the automated transmission of the vehicles from all the manual transmissions. Controlling the car from anywhere with the help of the Smartphones. Having better connectivity with the Smart Cities that helps to navigate anywhere within the city with much accurate information regarding the climate and the traffic. Integrating the map module to the car helps in the navigation throughout the city, providing better communication with many other devices that are present inside the car and also the devices that are present external to the car. There are other features like vehicle tracking and reporting provides a complete solution for existing problems. Are you for an assistance to know more about connected cars and Internet of Things(IoT)? Reach Casperon!